The Manly Beach Bowl Masters is a wrap. There was a huge turnout at Sydney today for the first Australian Open of Surfing. About 100,000 people showed up to see the surf and the skate in the Soul Bowl that is so deep that you even need a ladder to go to the deck. The bowl had travelled around the world to many different countries, but it was the first time it was in Australia. To assemble the bowl at Manly Beach has been difficult since it was just on the sand and special foundations had to be prepared. Because of the intense heat, the sea salt and the sand, the bowl had to be regularly cleaned with a special solution of water and soda to make it grippy. 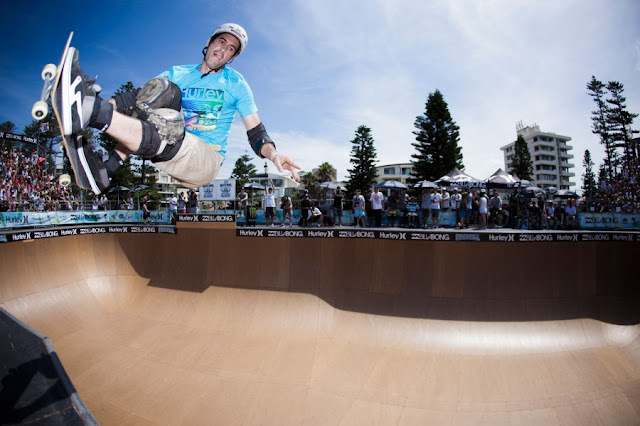 The contest was transmitted live on isTia.Tv during 12 hours and for the Beach Bowl contest, the cameraman offered some insane bird’s eyes view of the skaters. The Masters finals was extended by a good 10 minutes and let us see a Sluggo throwing BS 540s, BS 360 on the extension, however he did not pull a lot of tricks in his last run. Guerrero, from Copenhagen landed FS Tailgrabs and FS inverts. Sean Goff 46, coming from England cruised around the Beach Bowl. 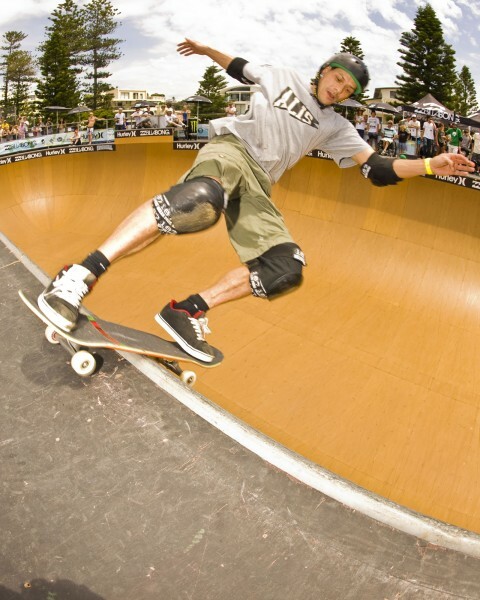 The pros were insane in the bowl landing more tricks than listed in the books. All skaters were extremely creative in this 13 year Sould Bowl. Bucky Lasek flew over the ladder in the corner, Bob Burnquist was skating with a Go-Pro on his helmet, Renton Millar, the only Australian in the Masters finals was landing 540’s and BS Tailslide everywhere, Kevin Kowalski, the only padless skater, but with a cap was insane. But at the end, Pedro Barros had too many flawless runs and got the 1st place thanks to many 50-50 around the corner, huge FS Air, Huge BS 540, indies 540 and BS tailgrab .